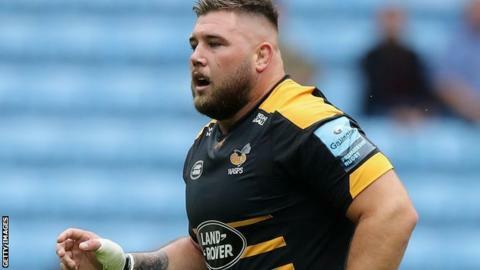 England tight-head prop Kieran Brookes has signed a contract extension with premiership club Wasps. The 28-year-old joined the Ricoh Arena side from Northampton in June 2018 and has played 14 times this season. Director of rugby Dai Young told the club website: "We're really pleased that Brookesy has pledged his future to the club. "He's a top-class prop who has a wealth of Premiership and international experience." The exact length of Brookes' new deal has not been disclosed.